Dedicated Windsurfing School in Poole Harbour... the No 1 location in the UK! All this makes us & our windsurfing courses stand out, giving you the best possible learning experience. Even when you are no longer being taught at our windsurfing school we are always happy to help & advise if you happen to be coming for a sail. Just when you thought it couldn't get any better... we are also one of the most competitively priced windsurf schools in the area! Poole Windsurfing is the product of over 20 years teaching experience, being drawn from managing two other local windsurf centres and teaching at different locations around the world. Much of our business is through word of mouth about the quality of instruction & is what keeps people coming back for more throughout their windsurfing career! As the only truly dedicated & retail independent windsurf school at Poole Harbour, we pride ourselves on supplying the best quality windsurfing equipment. Brand new boards & sails every year combined with lightweight components all make learning & progressing much easier for you. 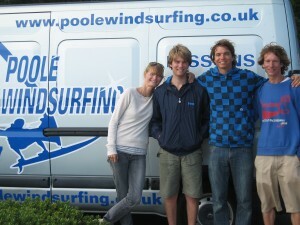 Hear what those that have been windsurfing with us have to say on our Testimonials Page. Full Beginners Windsurf Course - Save £11 Learn all the essentials so that you are safe enough to get out on the water practicing after the course & get a nice discount on the price! Quote FULLB when booking. Windsurf Hire - Save £30 The best way to really progress in windsurfing is with regular practice. Save £30 by purchasing a 10 hour hire card. Quote HCARD when booking. Group Lessons - 1 Person Goes For Free For every 5 people booked, one person goes on the course for free! Quote 5PLUS when booking. 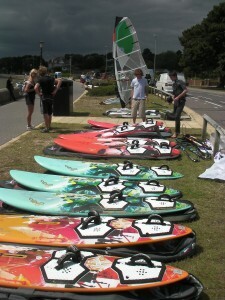 Dedicated Windsurfing School in Poole Harbour… the No 1 location in the UK! All this makes us & our windsurfing courses stand out, giving you the best possible learning experience. Even when you are no longer being taught at our windsurfing school we are always happy to help & advise if you happen to be coming for a sail. Just when you thought it couldn’t get any better… we are also one of the most competitively priced windsurf schools in the area! Full Beginners Windsurf Course – Save £11 Learn all the essentials so that you are safe enough to get out on the water practicing after the course & get a nice discount on the price! Quote FULLB when booking. Windsurf Hire – Save £30 The best way to really progress in windsurfing is with regular practice. Save £30 by purchasing a 10 hour hire card. Quote HCARD when booking. Group Lessons – 1 Person Goes For Free For every 5 people booked, one person goes on the course for free! Quote 5PLUS when booking. Our teaching background, a quick round up of all the latest windsurf equipment we use followed by some great action from students taking lessons out on the water! Check out what students have to say about the standard of our windsurf tuition & quality of windsurf equipment on the Testimonials Page. Come and join in the windsurfing fun with us at Poole Windsurfing! 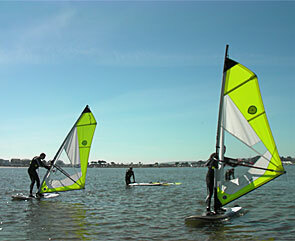 At Poole Windsurfing, we work with industry leaders in windsurfing equipment, such as Goya Windsurfing. Read about our relationship with ex world champion windsurfer, Francisco Goya & his company Goya Windsurfing. BBC Radio Solent Interview – Just how easy is it to learn how to windsurf? Hosts of the BBC Radio Solent H2O Show, Sir Robin Knox-Johnston (the first person to sail single handed and non-stop around the world) and Shelley Jory-Leigh (British Powerboat Racer) chat to Terril Winters (Senior Windsurfing Instructor) from Poole Windsurfing about just how easy it is to learn how to windsurf. Find out the best way to learn how to windsurf, hear what ingredients make for a top windsurfing location & know when to get out there on the water. Windsurfing is a great sport for everyone to enjoy! We have chosen to work with ex world champion Francisco Goya and his brand Goya Windsurfing. Like Poole Windsurfing, they are an independent company that are committed to delivering the very best for their customers. Goya Windsurfing equipment is top rate, with Francisco having a genuine passion for the sport & pushing the development of windsurfing equipment. Working with Francisco Goya & Goya Windsurfing, we have a direct link to those that actually research, develop & test the equipment that you, the windsurf student will be using at the Poole Windsurfing School. We can give feedback directly to Francisco & the Goya Windsurfing team about how our customers are finding the windsurfing equipment and suggest where improvements or developments can be made for future boards & sails that will come to Poole Windsurfing. 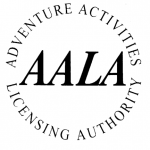 The Poole Windsurfing School holds a license issued by the Adventure Activities Licensing Authority (AALA), enabling us to teach under 18′s without a parent being present for their windsurfing lessons. If you are thinking of booking under 18′s in for a windsurf lesson or equipment rental on their own, it is important to make sure that the windsurf school you choose to go with has an Adventure Activities License. Without it they are not allowed to teach or rent equipment to under 18′s unless a parent for each child is within sight & sound. Why not make the most the summer and bring your kids (& yourself if you like!) 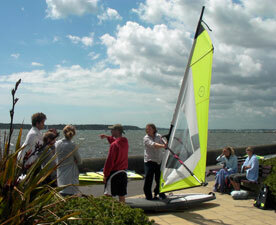 down to the Poole Windsurfing School and take some windsurfing lessons. We have kids specific windsurf equipment with special narrow diameter masts & booms, plus small lightweight sails to make learning easy for children.